Harare – Information is power. The government is panicking. For a regime that came via the barrel, their fear is justified. Election promises yielded pain. People are fed up. Fuel stations are dry. Cash is scare. Prices are shooting. Protests are common. To conceal glaring failures, the state allegedly shut the Internet. Millions were alienated from the world. Social media was locked. This embargo was always coming. Only state propaganda outlets were accessible, blaming the opposition. But no one invest time in them. The masses are not fooled anymore. And the world is watching closely. As a blogger, I use social media to reach thousands of viewers. Without internet, my trade is doomed. And when the government switched it off, they were targeting us. Our crime: portraying a differing view. It all began on Monday, 14th January, 2019. It started as a jam. By nightfall, it was a total eclipse. This was after fuel price increases. What followed was predictable. Riots flared in most residential areas. Masses poured their anger towards an insensitive state. Security forces were deployed to quell riots. Clashes with protestors ensured. Citizens are angry. Their children are hungry. Looting could not be ruled out. Live ammunition was used against unnamed civilians. All in all, five lives were lost. Without information, people become confused. Word of mouth replaced media sources. The state had achieved their agenda. Out of the world’s focus, they could do more harm. State security agents were unleashed. Door by door searches were conducted. Two hundred suspects were arrested. Out of global scrutiny, the numbers could swell. After announcing, a massive fuel increase, the president left for Russia. His private jet hired at a rumoured US$70 000 an hour, is a mockery to the languishing masses. For two weeks, he will be in Eastern Europe to attract possible investment. Meanwhile, Harare is on fire. His open for business mantra will also take him to Davos, Switzerland. Will his endeavours yield fruits? With human rights abuses in his wake, will his presence convince the world? This was the other reason for shutting down the internet. Mnangagwa will be away for two weeks. Once he tried to reach out on social media. And possibly for that time, the country will be an island. Here, the state trusts no one. People are afraid of their leaders. Criticising politicians is an abomination. During the previous regime, some vanished for such utterances. So one keeps their thoughts secret. Encrypted WhatsApp is safe, cheaper and trendy. The majority uses it daily. It has become a channel for business. Many advertise their services on such platforms, including myself. Closure sent relatives into shock. People panicked. During Mugabe’s era, social media was manipulated to speed his downfall. The current regime knows its efficiency to further a popular revolt. Their wish to become a new dispensation is lost. Nothing has changed from the previous leader. Censorship still exits. Some even claim Mugabe was better. African despotic leaders never learn. With their prolonged stay, they become allergic to criticism. Robert Mugabe banned or bombed private media. Kamuzu Banda maintained a solitary state broadcaster. Mobutu Seseko. Idi Amini – all kept the media under check. They sought to control everyone. Everything. In the end, their downfall is almost identical. Current leaders refuse to transform. In 2017, he alienated Anglophone Cameroon for attacking his prolonged reign. 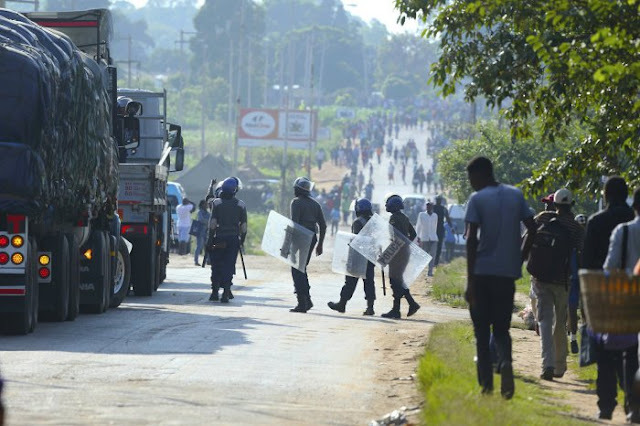 The government shut down the Internet in its attempt to clampdown on demonstrations by aggrieved citizens of the two English-speaking regions of the country. 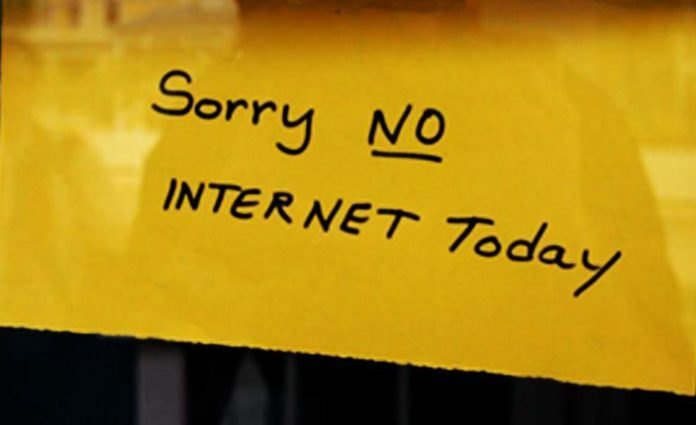 For more than a month, the area experienced internet blackout. His embargo changed nothing. It added more enemies. He later protested to Facebook that he was a target of fake news. Up to this day, he remains unpopular for his actions. Faced with their fate, dictators elect suicide. Zimbabwe seeks to be a global ICT player. Ecommerce is part of the nation’s 2030 goal. After the internet blackout, their efforts are in doubt. Internet is still inaccessible to many. Only 15 percent are on Twitter. Computerisation of schools has faltered. Mugabe donated lap tops during his campaign rallies. Many have become idle or desolate. Since Monday, Zimbabwe is a pariah state, like before. We are at the mercy of the merciless.